Creating an excellent experience throughout the customer journey is becoming the ultimate product feature for companies realizing technical or material improvements can differentiate them only so much. According to Deloitte, 62% of companies view customer experience delivered by a company’s contact center as a competitive differentiator. The most surprising thing about that statistic is that almost 40% of companies don’t recognize the power of a well-executed customer experience. Here at Clearlink, the goal to provide a frictionless path from marketing through sales and all the way to customer support is at the heart of every decision we make. Our team of 1,500 sales, marketing, and data science experts have spent the last seventeen years striving to perfect the customer experience. Through investments in technology and expert talent, we have built a business on the leading edge of a digital transformation. Our work to transform how brands become more innovative, agile, and people-centric throughout the buying cycle has led us to the development of ICX: the Intelligent Customer Experience. ICX focuses on providing the customer with a personal, predictive experience by using data-driven artificial intelligence paired with human expertise. Our unique capabilities as a full-stack digital marketing company with an industry-leading sales force let us connect the chain of individual interactions throughout the customer journey. We use billions of data points to inform the design, marketing, sales, and service experiences, making the whole cycle feel more connected. Cohesion is crucial; users are demanding it. Accenture found that 87% of customers think brands need to put more effort into providing a consistent experience. Brands that don’t provide that consistency will be seen as delivering bad experiences. In fact, as analyst Esteban Kolsky discovered, 67% of customers mention bad experiences as a reason for churn. The message is clear: invest in an intelligent customer experience or lose your customers. The message is clear: invest in an intelligent customer experience or lose your customers. How do you create an experience that can keep up with the ever-changing pace of customer behavior? Devices, platforms, and technologies all impact the way customers interact with brands and the type of experiences they expect from them. A company’s ability to quickly adapt to these changes is the difference between one prepared for a digital transformation and one that is not. We believe that the key to providing our brand partners the adtech and martech needed to meet new CX demands comes down to two components: artificial intelligence and human ingenuity. Clearlink specializes in customer interactions. Between the clickstream and visitor data we gather from our web pages to the captured call data from our sales centers, we have access to billions of points of user data gathered from millions of interactions both online and offline. This proprietary data is what fuels our artificial intelligence. With it, we are able to analyze outcomes of customer calls, gather psychographic and demographic data, and use machine learning algorithms to understand and better predict our customers’ needs. 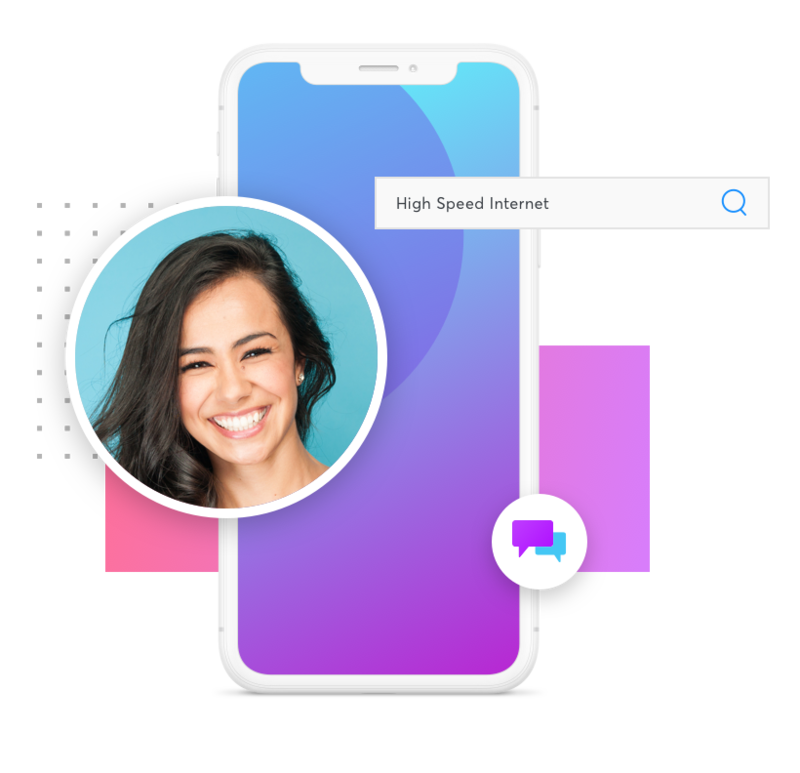 For example, our dynamic call routing system uses data from online behavior to connect customers to agents with specific knowledge of the product or service they have been considering. It can get even more specific by connecting them with an agent from their geographic region based on their area code, creating another point of commonality and building trust. This system helps eliminate repetition in the buying process. The agent can get the right solution faster because the information from the customer’s online activity is immediately available to them. And we don’t just use data from past experiences, Clearlink analyzes call data in real time and continually applies our learnings to make future interactions smarter and more efficient. In a “choose your own adventure” style of filtering, keyword searches, landing page entry, and product choice inform the intelligent voice routing (IVR) system to connect the customer to the sales agent best suited to their needs. This nimbleness is a result of our internal marketing, data science, and sales teams working cross-functionally to improve each department with exceptional communication and transparency. Thanks to phenomena like the “Amazon Effect,” customers now expect a seamless path to purchase, and our technology gives us the visibility and information needed to customize the experience for our customers. The beauty of this system is it provides us with the data from the online behaviors to inform the offline interactions. Search terms, landing pages, and product selection guides the IVR as well as the sales agent to the optimal solution for each customer. For those customers who prefer to keep the entire process online, Clearlink’s chat technology pulls the same site behavior data over to the agent who is given guidance from the sales enablement software and can close the sale right from the chat window. All outcomes are then passed through machine learning algorithms to adapt future actions and create data-driven solutions that connect and optimize each stage of the customer journey. But integrated technology and artificial intelligence are nothing without the people behind it. Clearlink employs hundreds of expert data science, customer experience, and content specialists. We staff our sales centers with thousands of highly skilled agents who are trained to provide the best possible customer experience. We don’t believe in silos; all of these departments share data and ideas freely while collaborating on better ways to deliver solutions. We begin ingraining the philosophy of open communication at onboarding. Every corporate employee must go through two training classes within their first month on the job. The Everybody’s in Sales program outlines the role of the sales department at Clearlink and puts new hires through a day-long sales training boot camp to better understand how their job impacts the sales agents. The second is a marketing simulation, where everyone learns the roles and responsibilities of every marketing position in the company. From copywriting to coding, the group tries their hand at each job and builds a functional web page over the course of the day. By the time new hires have completed these classes, they have a solid foundation of the inner workings of the company and can communicate across departments. We also structure our office to encourage our team members to share ideas between departments. Copywriters are seated next to designers who are next to SEO specialists and CRO teams, so when someone has a new idea or success story, it’s easy to let everyone know. Questions can be easily answered, and concerns immediately addressed. Seating charts aren’t the most exciting aspects of improving efficiency and performance, but we look for any opportunity to open up pathways of communication. Encouraging the sharing of information promotes inventiveness that allows us to create predictive and efficient solutions for our customers. If the data from sales calls reflects a need for a change in marketing strategy, that data is shared, strategies are adjusted, and the change is made. One of the most successful examples of this is using sales outcome data to determine which product offerings are displayed in the hero image of landing pages. The sales agents let the marketing department know which products and packages are resonating best with customers so website and ad creative can be designed around them. Rather than focusing on short-term, individual team goals, everyone is focused on the end-goal of providing the customer with an excellent overall experience. Breaking down the communication barriers between each stage of the customer journey allows us to craft the highly sought-after, consistent, and engaging experience that leads to increased customer satisfaction. A happier customer is one less likely to churn, which increases revenue while also reducing expenses—resulting in a higher lifetime value per customer. This closed loop between sales and marketing has helped us create billions of dollars in incremental revenue for our brand partners and has helped us continue to invest in the future of Intelligent CX. A happier customer is one less likely to churn, which increases revenue while also reducing expenses—resulting in a higher lifetime value per customer. While both artificial intelligence and human ingenuity are individually essential to Clearlink’s operation, the two together lie at the heart of our vision of brands’ digital transformation. Because we have access to vast amounts of customer interaction data, our teams of experts have the tools they need to maximize the effectiveness of their decisions. And because of the cross-functional nature of our team structure, those decisions can be shared with everyone involved compounding the efficiency of all teams throughout the process. The outcomes of these decisions are then analyzed and optimized for further improvement through our internal feedback loops. Technology helps make our people better, who in turn, help improve our technology. Plus, with the power of AI, we can scale our innovative solutions to any level our brand partners require. Extrapolating data sets and applying them to wider audiences, using predictive analytics to steer decision making, and using machine learning to find opportunities for improvement throughout the process minimizes the risks and pains that can come with growth. This entire process is what makes Clearlink unique as a sales and marketing company, thanks to the ICX mindset that’s present throughout all our services. Focusing on the customer journey is an important initiative within many organizations, but Clearlink believes it is one that few have been able to execute effectively. No matter the age or size of the company, the experience it provides its customers is going become a more important differentiator in the market. Clearlink is leading this charge in giving brands tools like ICX to redefine the relationships customers have with them, because the companies who ignore the changing tide may lose those relationships forever.